All of Burns’ wooden fences are made of Northern White Cedar. In other words, they are built to last. Northern White Cedar’s durability and versatility means you don’t have to choose between strength and appearance. When you go with a cedar wood fence, you won’t have to worry about termites or decay — even when close to the ground. Northern White Cedar is naturally resilient to these forces and comes in a wide selection of finishes, or you can let the natural grain and texture shine through by choosing a classic unfinished look. Natural weather bleaching will transform your cedar wood fence into a beautiful silver gray. And why travel far for your wooden fence material when we live in one of the most heavily forested areas of the country?  All of the wood we use for our picket fences comes from Maine; it’s sustainably harvested in Aroostook County and we here at Burns’ are thrilled to have a Maine-made product for Mainers buying fencing. Would you like to receive more information or request a consultation?